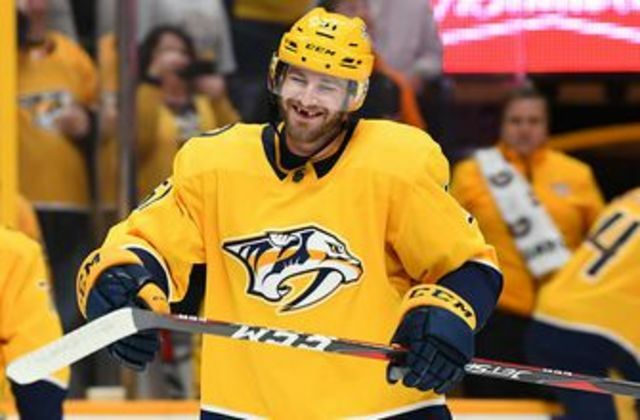 Austin Watson scored a hat trick as the Nashville Predators beat the Anaheim Ducks 5 – 2 on Sunday night. The 26 year old right wing in fact recorded his first hat trick in the NHL on Sunday night. Austin Watson is the fourth Predators player to score a hat trick this year, which is a franchise record. He entered the game with just one goal. “It’s always nice to score goals and contribute,” he said. Watson doesn’t usually play so far forward as he did on Sunday night. However, due to an injury to center Kyle Turris, he found himself playing more offensively. His first goal came in the first period. Watson then added the first power-play goal of his career in the second. He completed his hat trick into an empty net with 1:06 remaining. It was a surprisingly effective performance from Watson, who has missed the last 18 games. He sat out for such a long time as a result of an 18-game suspension for domestic violence. He only returned to action two weeks ago.